Prescott St, York St tunnel. 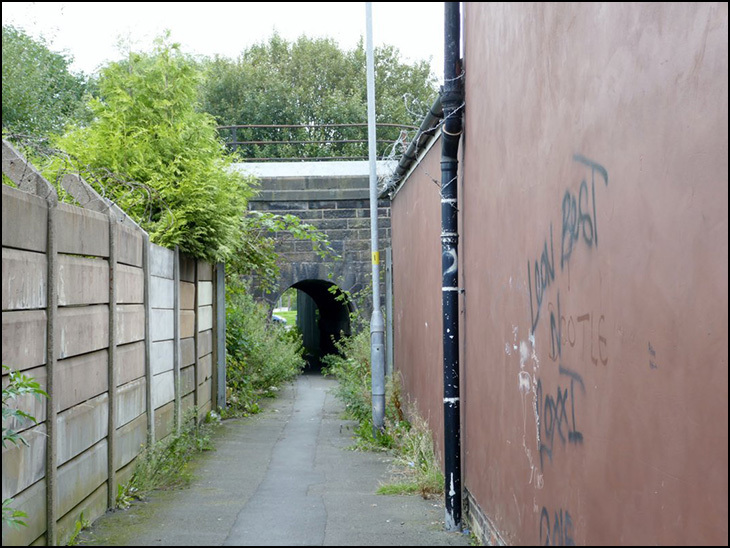 The passageway and tunnel is called Bridge End. It's years since I walked under that bridge to visit an aunt in York Street. I'm sure there was a pub on the right. Pauline , I think the pub was The White Bull. The Landlady in the 60s was Nellie Deaken . I wouldn't like to walk down there in the dark, street lamp or not. Well blow me down ,another photo for my memory collection. As i have commented earlier if i went to work on my bike this short cut saved a shed load of time, From worsley mesnes i cycled down to to Eckersley's in those day's you could turn right at the pier come out facing Miry Lane and " The New Star Inn " peddled across into Miry Lane cut through York St , then through that Tunnel ,right onto Prescott St and so on ,thanks for the photo's truly.